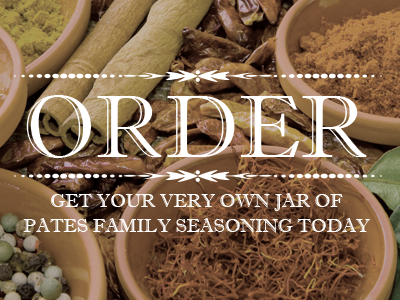 Pates Family Seasoning | Sometimes the Best Medicine is Good Food. 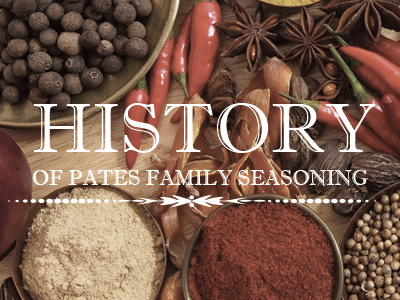 Pates Family Seasoning is a must have in your spice cabinet, and needs to be front and center, and easy to grab. 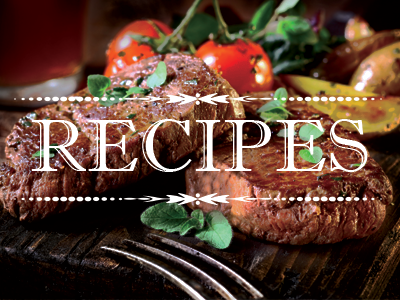 From breakfast foods like eggs and sausage, to meals like steak, potatoes and vegetables, Pates Family Seasoning goes great with anything – and we mean that.